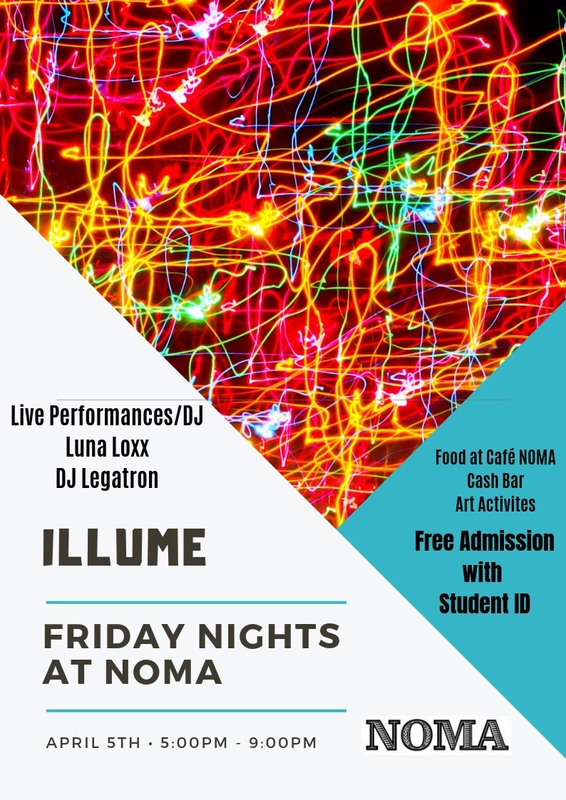 Friday Nights at NOMA features an exciting lineup of programs in 2019: live music, movies, children’s activities, and more. Regular admission prices apply—NOMA members are FREE—but there is no extra charge for programs or films. All galleries, the Museum Shop, and Café NOMA remain open till 9 pm. On April 5 the museum will host College Night, allowing all students, faculty, and staff with ID from local colleges and universities free admission from 5 – 9 pm. Drawing upon cultural mythologies of the underworld, Molina will guide museum visitors through a whispered exploration of the exhibition in which the different artworks in the exhibition constitute the topography of an imagined subterranean landscape. Inspired by the classical myth of Persephone, who was doomed to spend a third of the year in the underworld, Molina reimagines this mythological figure as an empowered goddess who harnesses the earth as a place of primordial cultural emergence. Spanning video installation, performance, photography, sculpture and textile design, Molina’s work privileges female protagonists to explore themes related to origins, heritage, and personal mythology, and how they work in concert with natural and urban landscapes.